Hey all, just a quick note to say that soon we’ll be moving to our own hosted site, http://www.dagdapublishing.co.uk – It’ll have a few new bells and whistles, and will better represent us as a publishing company. The poetry blog will still be a central part of the site, so keep sending those poems in to be featured. 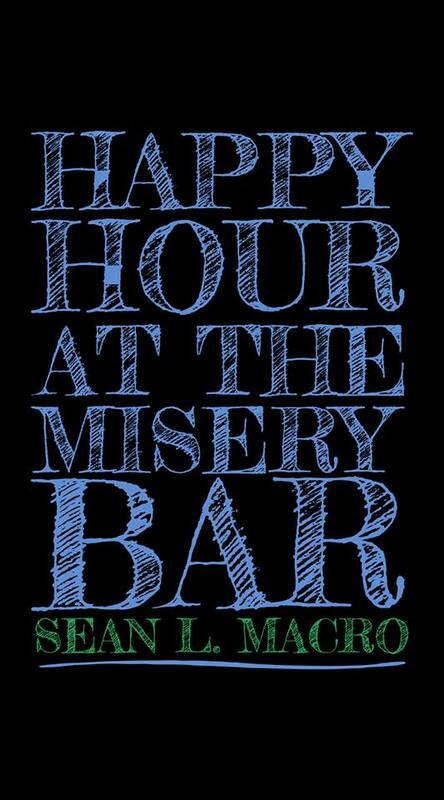 We are proud to announce the release of Happy Hour At The Misery Bar, the début poetry collection from Sean L Macro. A collection of 21 poems on the darker and more solitary aspects of Human Nature, this is a deeply personal and introspective, and at times philosophical collection by this new writer from the South East of England. With subjects such as lost love, homelessness and alcoholism, this collection is for fans of Charles Bukowski, Jack Kerouac, Ernest Hemingway and W.H Auden. This collection is available from Amazon.com and Lulu.com for Paperback and Ebook. Price: £4.99 for Paperback, £1.99 for eBook. 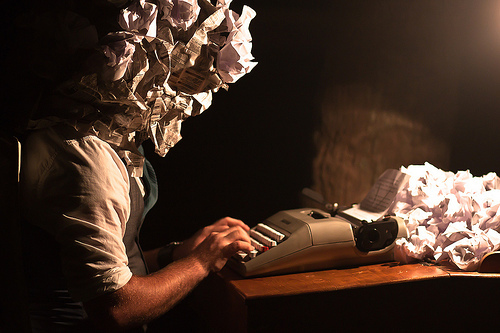 Big changes to Dagda Publishing coming in the next few weeks – read on. Hello all, we have a few big things to share with you. Are you sitting comfortably? Then we shall begin. First up, for those of you not connected to our Facebook page (go on – its on the left there), we can finally announce the release date of our anthology “Western Haiku: A Collection”, and some more details on it. This collection of Haiku and non-traditional “Western” Haiku will be released on the 4th of June, and it will be available as a paperback copy on Lulu for £4.99 and as an eBook on Amazon (and hopefully other sites) for £2.99. With a great, crisp, clean cover design by A D Warr, and edited by our editors Reg Davey and Elena Hulme, it includes poetry by some of our regularly featured writers and new writers who you will want to check out. Also, this means that coming soon, we shall have a new, bigger and better website. We shall be retaining the poetry blog you have enjoyed for so long, obviously, as we feel that this is an integral part to who we will be as a company. We’ll also be releasing, in late June/early July the first of our collections of classic literature and poetry collections. These titles will be what we think are the most important (and sometimes overlooked) literary masterpieces in history. Seeing as we have decided to become a publishing house, we have decided also that we will be supporting charities and social enterprises as an integral part of our business philosophy. To this end, we are not only supporting charities through the proceeds of our releases, but also we will be choosing two organisations as our sponsored charities for the year, who we will constantly support and fund from our profits. More news on who this will be soon. We will also, as part of our social enterprise and charity way of thinking, be supporting unique projects in communities across the UK (and hopefully soon, internationally), including arranging writing workshops for disadvantaged sectors of the local community in Nottingham. A bit of a unique approach to things – using writings most powerful effect – as a vehicle for social action and change, you could say. This is something we feel deeply about, and we know we can do great things in conjunction with other socially-minded organisations. Well, that’s all for now. Thank you to everyone that has supported us so far, you are vital to making this a success. And with your involvement and support, we can make this so much more than it already is. Good evening/morning/ aftenoon etc, WordPress. The anthology “Concrete Jungles” is, as the title of the thread suggests, now available completely free as an ebook for this weekend (Today – Monday) on Smashwords. So, head on over there and grab yourself a copy for free, nada, nothing, zilch. It’s a collection of 14 poems diverse in their observations of our experiences within the environment that most of us find ourselves (willingly or unwittingly) residing in. Delve inside and find the shades of grey that are behind our hastily drawn blinds, within or without. Now inviting writers to contribute to our next anthology. Ideally, we would like to be bringing this out in late June/ early July, so the deadline on this one shall be the middle of June. Also, if we can ask a favour off of our blogging friends, can you please reblog this, so we can get this out to as many people as possible, and gather as many poems to make this a very special anthology please? Well, it’s finally here. Our first anthology of poetry, “Concrete Jungles”. A collection of 14 poems all based on the theme of the city, available exclusively through the Amazon kindle store for the low price of $0.99 (77p in the UK, 0.80 euros in the EU). Unfortunately Amazon would not let us list it for free, so we have gone with the absolute minimum to give people a real bargain. So, all you Kindle owners, buy a copy, pass it on, and if you like it, please share with people.